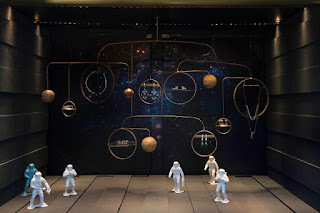 We do love to see a bit of clever humour in store windows particularly when everything around us in the world appears to be so chaotic. 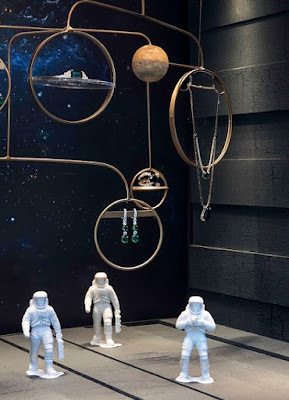 We've also never heard of this brand so its a welcomed relief to find a brand beyond the ones we normally include (simply as they change their schemes so often and do interesting things) out there on the high street. 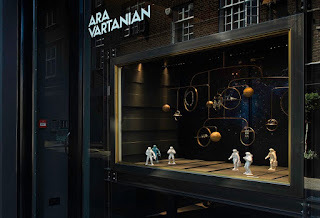 Ara Vartanian is a Brazilian jewellery brand who have just opened their first store here in London's Mayfair. 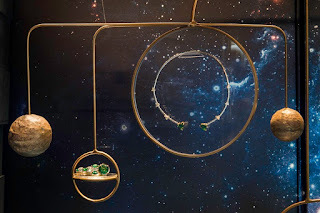 Working in conjunction with those lovely guys at www.millingtonassociates.com the brands first scheme revolves around Space, Planets and constellations which reflect some of the concepts at the heart of Ara Vartanian's fantastic pieces. We will keep an eye on this brand moving forward and fingers crossed they continue to produce ever more incredible schemes which we can share with you.